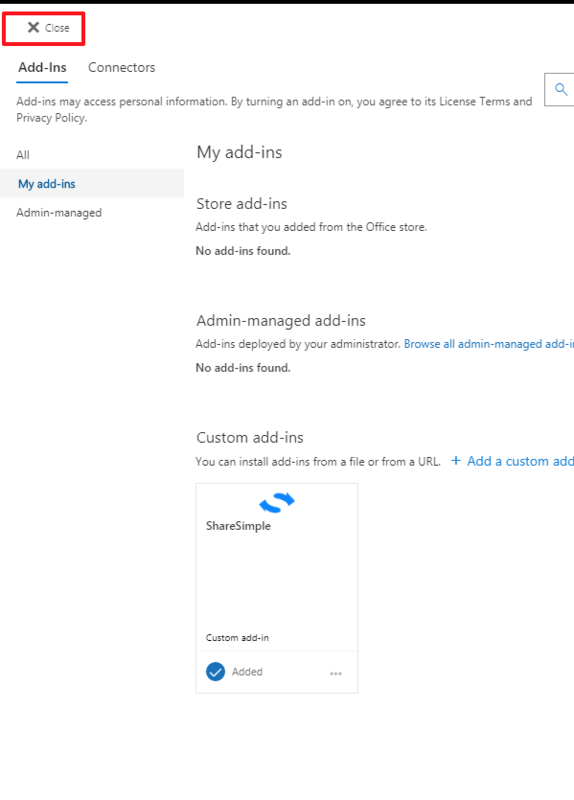 To install ShareSimple you will need an office 365 account. 1. Go to products and choose ShareSimple. 2. 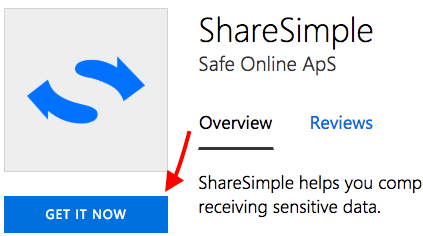 On the ShareSimple page, click get it now to go to the Microsoft app store. 3. Click get it now again. 4. Click continue to agree to the terms and conditions. 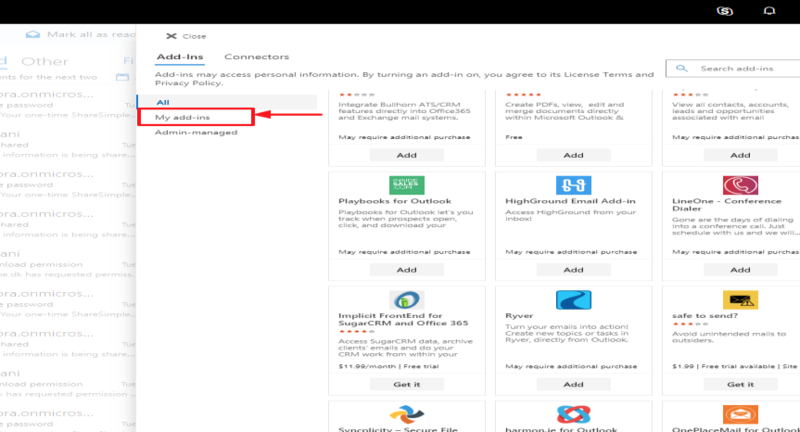 You'll be redirected to Office 365 with ShareSimple installed. 1. 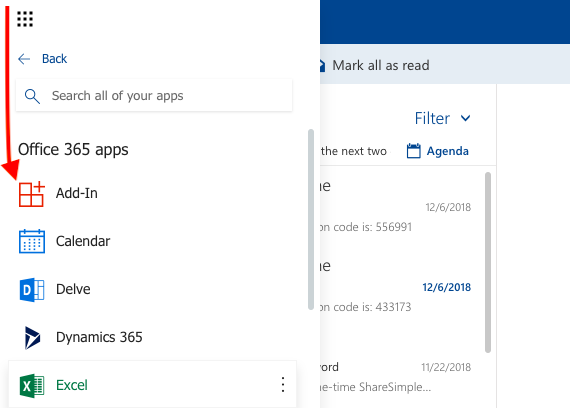 From your outlook, click the Apps menu and choose all apps. 2. Choose add-in to be redirected to the store. 3. 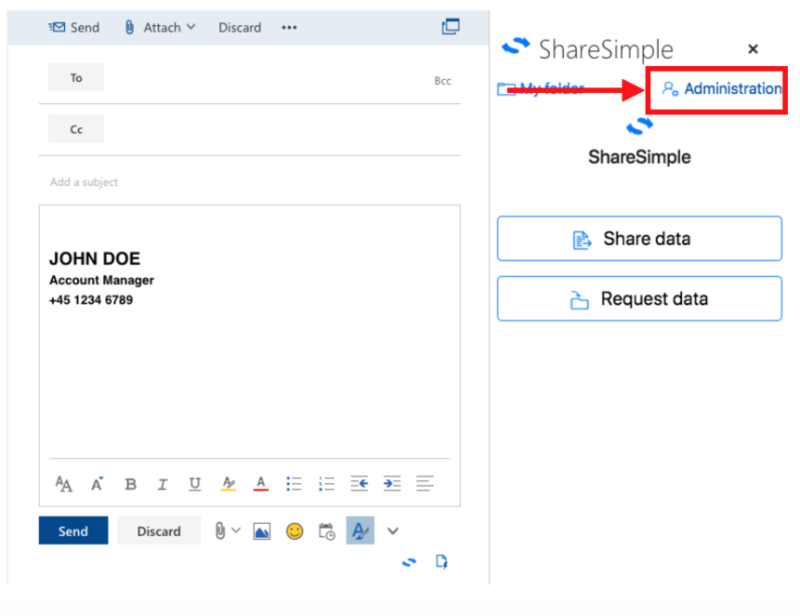 Search and select ShareSimple, and click get it now. 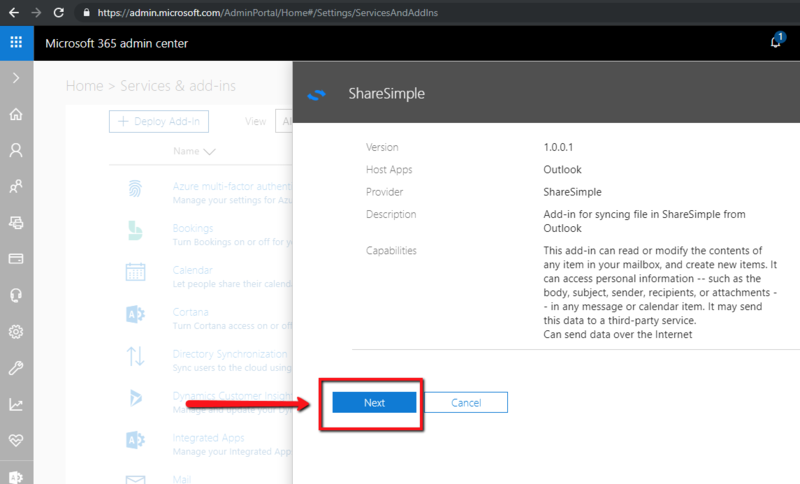 This section will guide you through the manual installation and setup of ShareSimple. The process will vary depending whether or not you are an administrator. Select the .xml file from your computer and click “Open”. 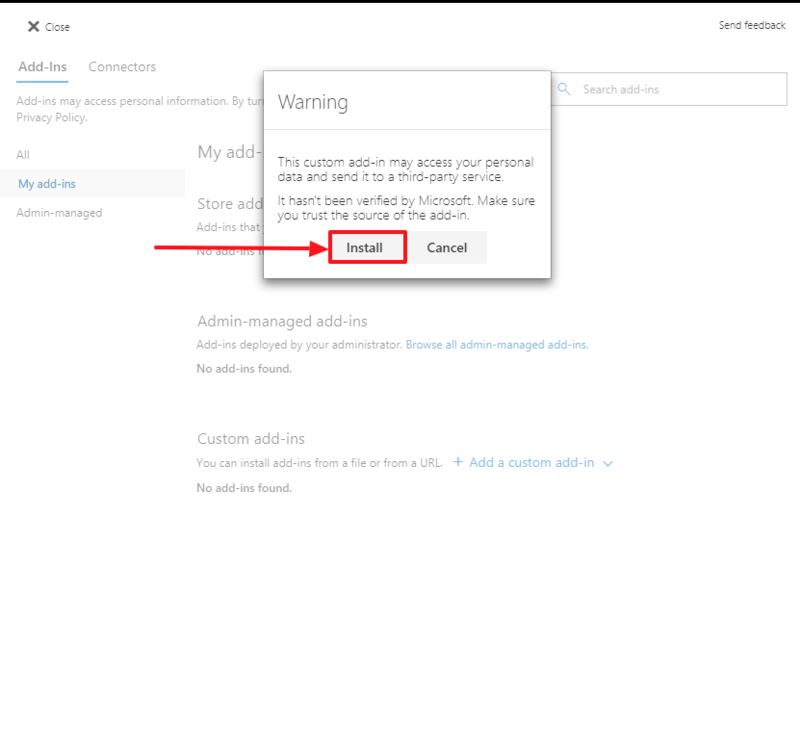 Note: If you are not an administrator, you will need an administrator to activate your account before using. 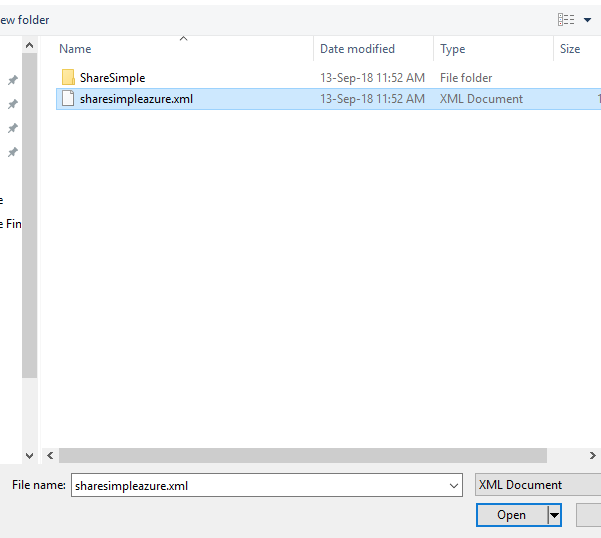 Now the users can install the ShareSimple installation file and start using ShareSimple. To find more information about ShareSimple, and to see the installation process and more, visit sharesimple.eu/help. 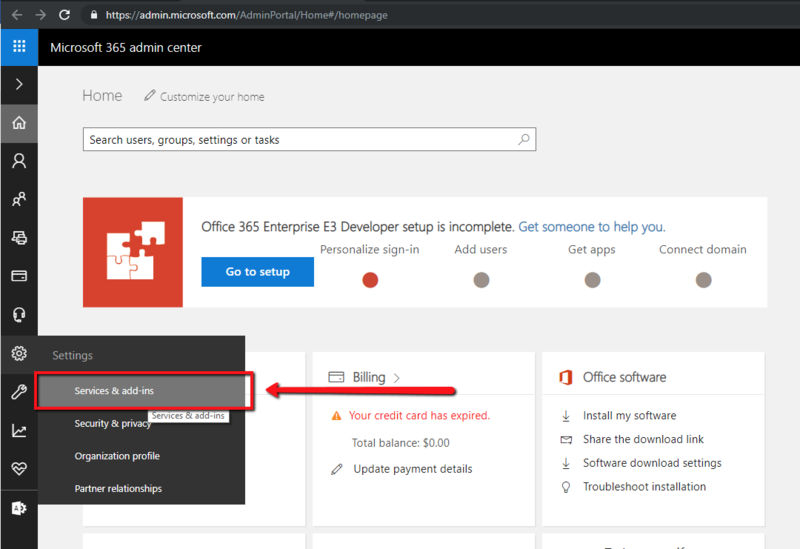 To install ShareSimple in a Tenant to be accessed by all users, you need to have Office365 administrator role for the Office365 Tenant where you want to install the add-in. 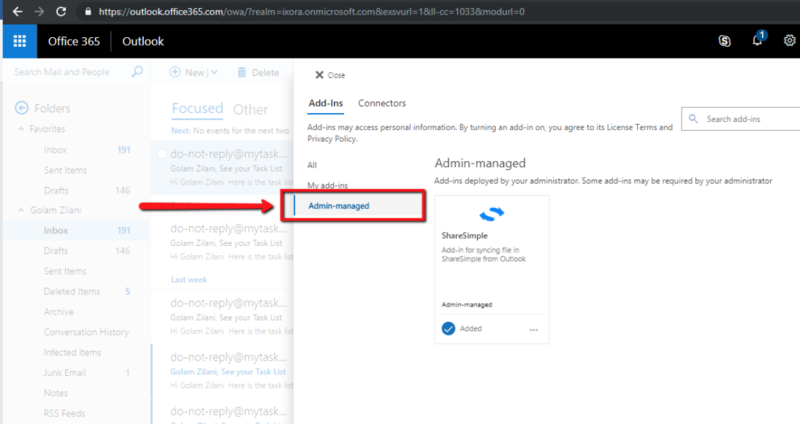 Log-in with your Office365 account and go to Office 365 administration center using the Admin link on the Office Home page. 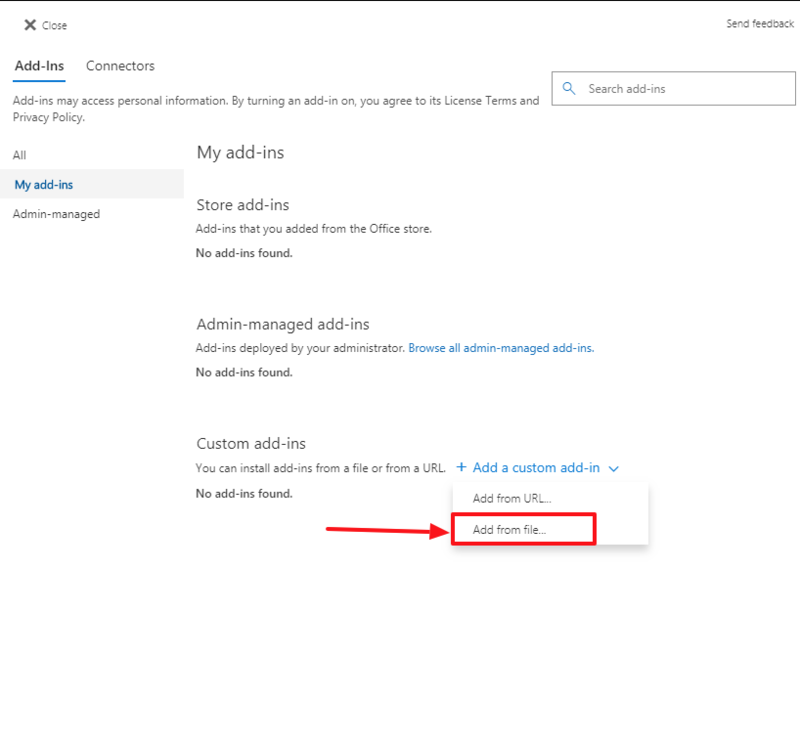 To install an add-in, go to Settings > Services & add-ins in the Office 365 admin center. 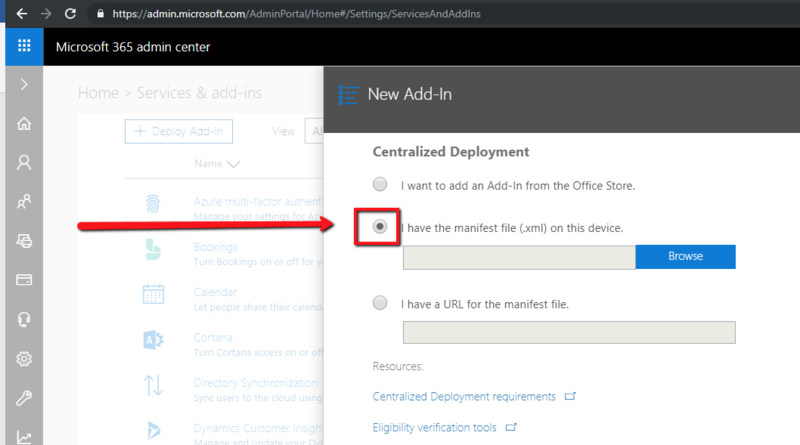 choose to deploy an add-in from the Office Store/AppSource or from a manifest file. 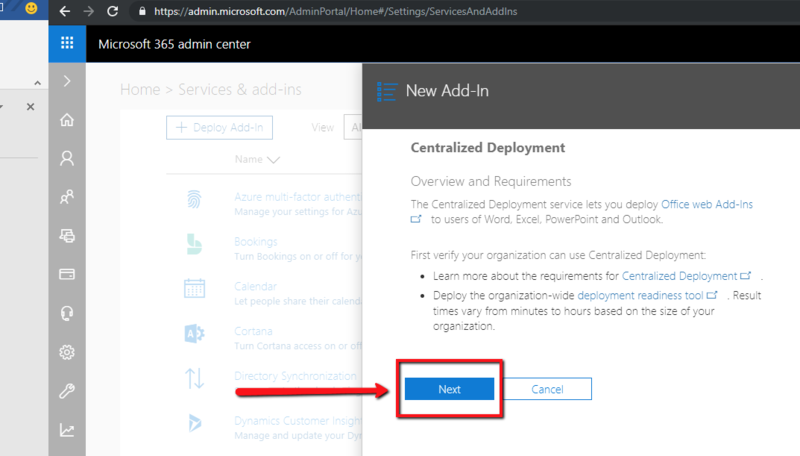 Click the “Next” button on the Centralized Deployment wizard. 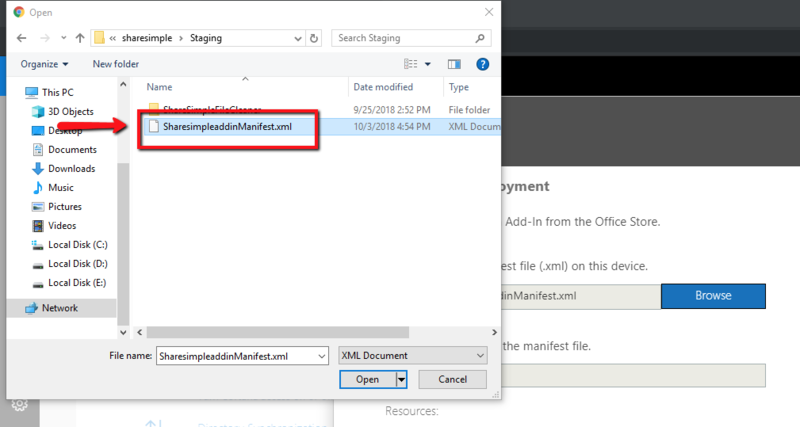 Choose “I have the manifest file (.xml) on this device.” option to install add-in from manifest file. Browse for the .xml manifest file and click open to select. Click “Next” button to start installing the add-in. After the add-in installation, click “Next” button to procced to the add-in visibility options. Choose the right visibility for the add-in by either enabling it by default for everyone or give end users options to enable or disable it. Click “Next” to proceed to users/group selection options. 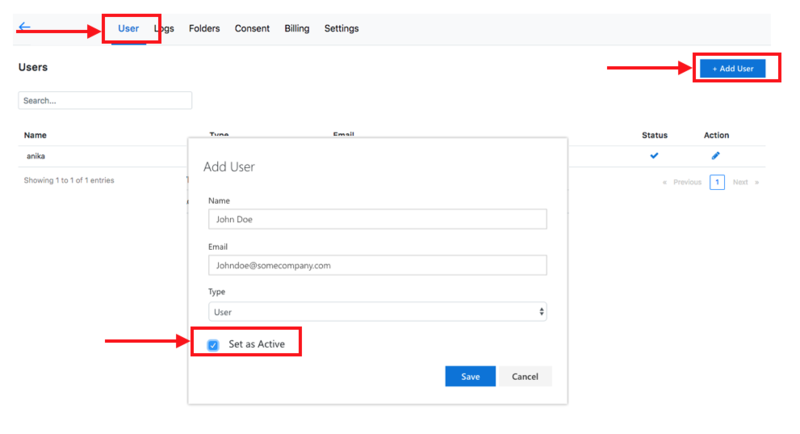 You can choose to deploy the add-in to users, groups or your entire organization. Choose to whom you want to give access to this add-in. 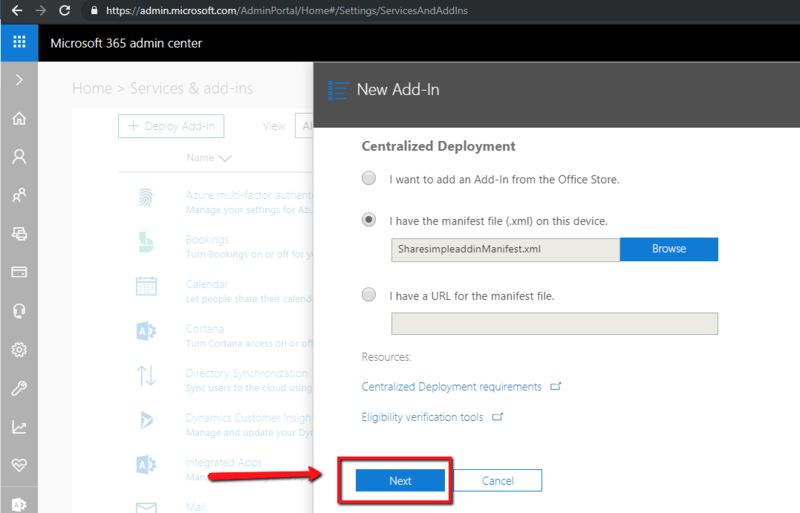 Click on the “Save” button to finish deploying add-in for the Tenant users. The adding gets installed for the selected users/groups. 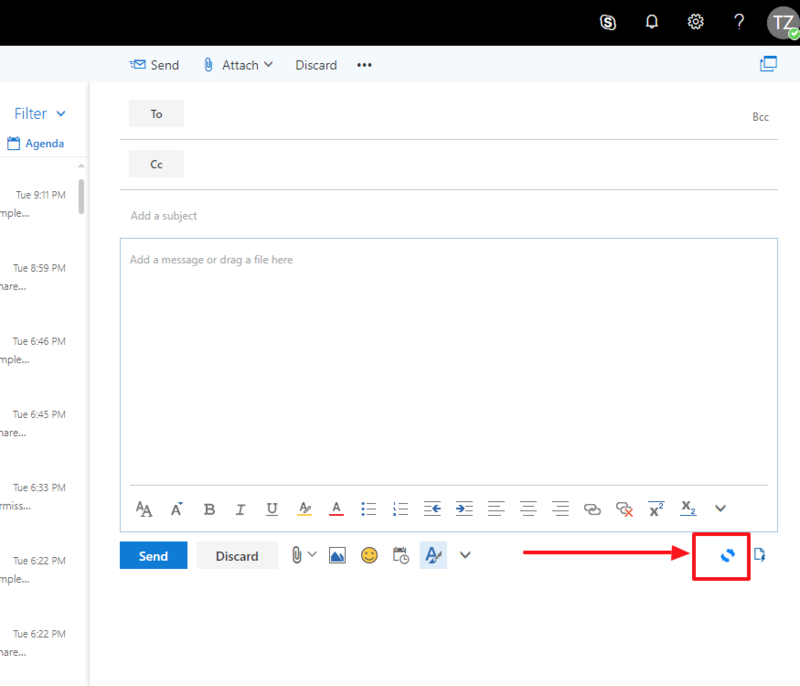 Click the close button to exit the deployment wizard. 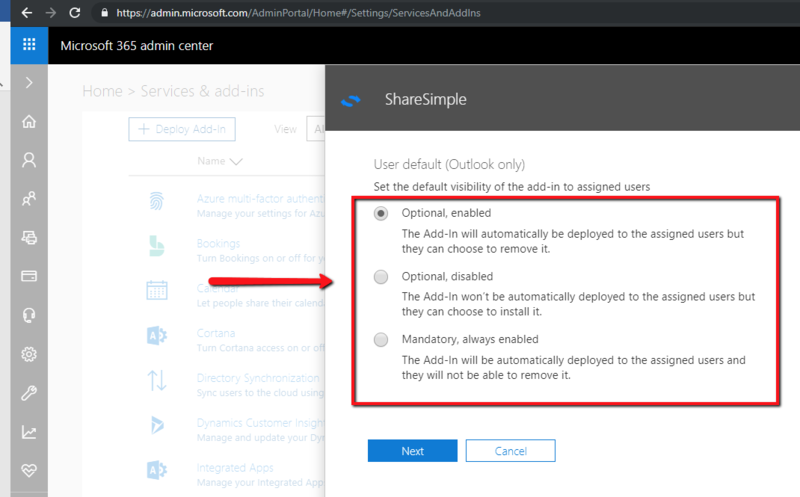 To enable/disable the ShareSimple add-in from your add-in list as a Tenant user, you need to have an Office365 account and the ShareSimple add-in needs to be already installed for your Tenant by your Office365 Administrator. 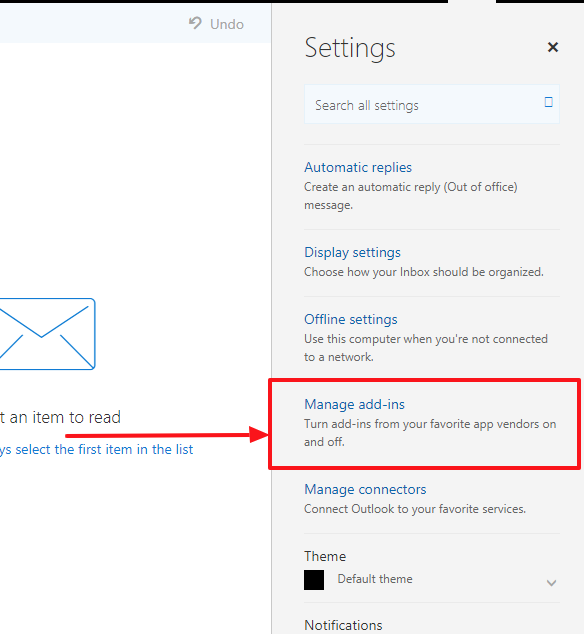 Log-in with your outlook account and go to settings at the top right corner. 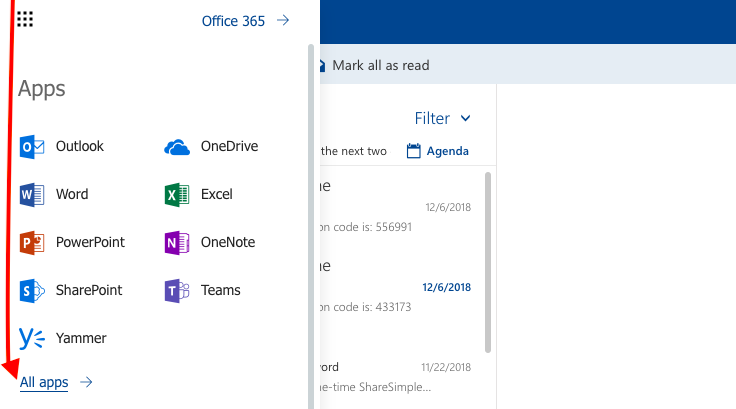 Select “Admin-Managed” from the menu on the left side. Click on the context menu (…) to reveal the options for the available add-in. 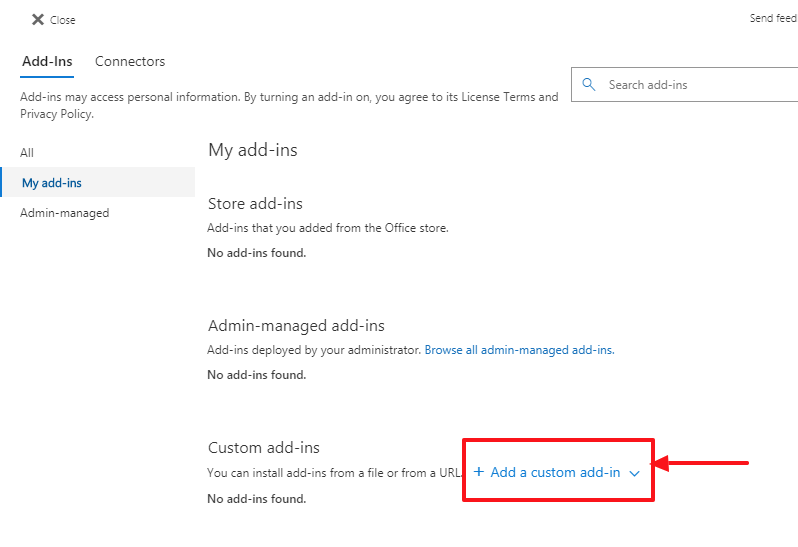 Choose “Add” or “Remove” from the context menu options to enable/disable Admin managed add-ins for Tenant users. For more help information, visit our Resources page.